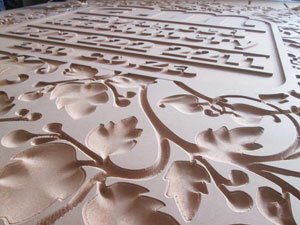 Our CNC Machines are for Achievers. 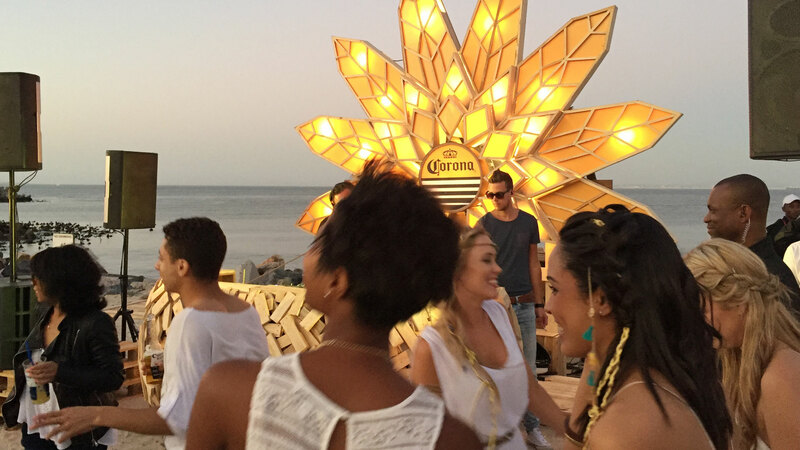 We have written lots of articles, taken tons of photos and shot loads of videos. 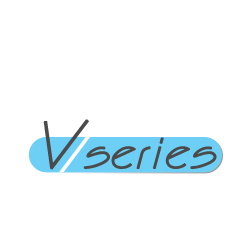 We have an elaborate knowledge base that offers great tips and tricks. 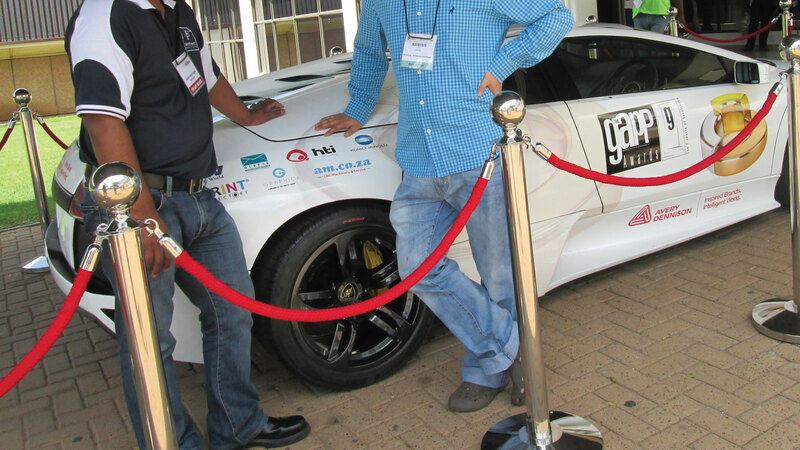 Our strategic partners and our own "Maker's Lab" run many interesting projects. Affordable entry level vinyl cutting machine, best price in the market with good machine building quality and backed up by our lifetime support. 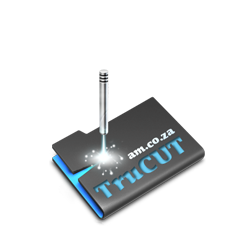 Most popular vinyl cutter with contour cutting in South Africa. 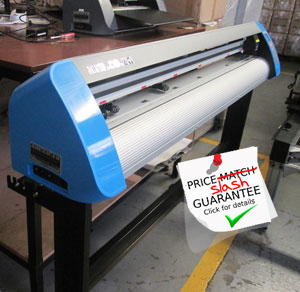 True vale for money vinyl cutter with lots of features and two year warranty. By ultilize EPSON® printing head, superb printing quality and speed archived with Servo Motor driving system, and our printer comes with ECO-Solvent inks bulk ink system by default. 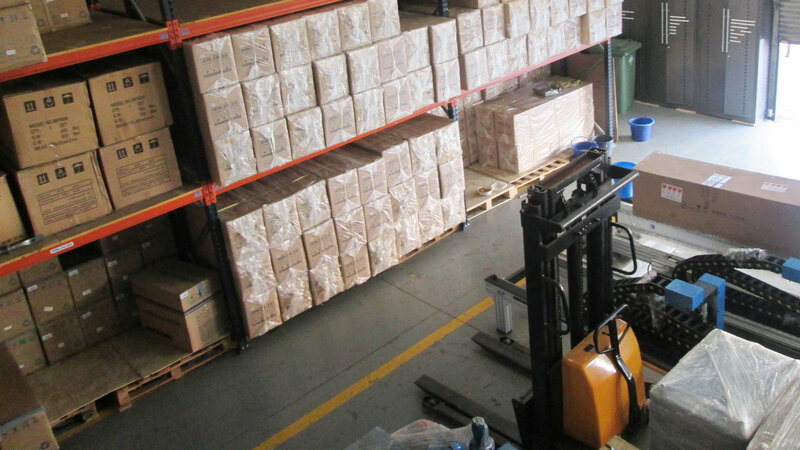 We also sell 5L Bulk ECO-Solvent Ink. 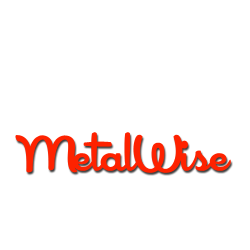 The MetalWise Series Plasma Cutters, features IGBT plasma cutting technology which leads to a cleaner and better quality cutting result. 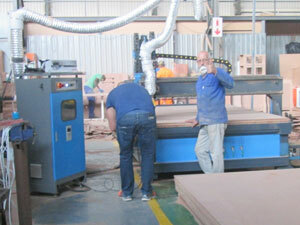 They come with Hand-held Torch and Mechanical Torch for CNC Automated Cutting. 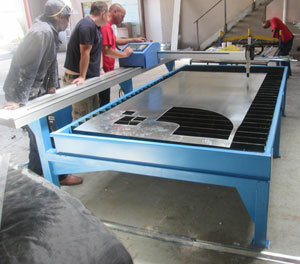 The simple structure of the MetalWise Lite makes it suitable for all kinds of metal cutting requirements. 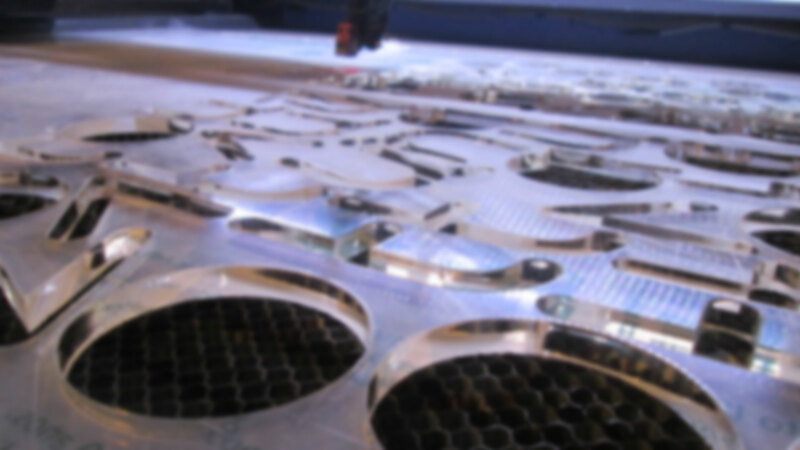 It offers our customers substantial value to have a quick CNC cutting solution on site. The MetalWise Standard CNC cutting table with torch height control (THC), collision sensor, three servo motors and flame cutting capability gives you the highest quality plasma cutting which results in the most value for money. 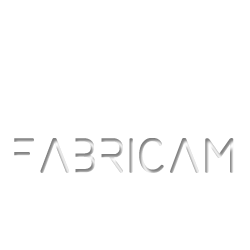 Use the same control system as our big CNC Routers, the DIY CNC Router is perfect for hobbist and crafters for small projects as well as for educational purposes. 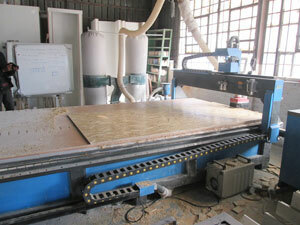 Several size, table, spindle, motor etc options make a wild choice of CNC Routers. Our EasyRoute CNC Routers are the workhorse for your business and very popular in signage, shopfitting and furniture industry. 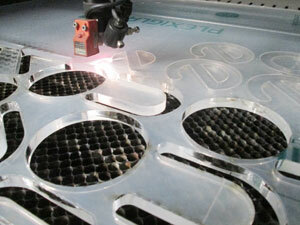 Proven CO2 laser technology is good for cutting, marking and engraving on various on non-metal materials. 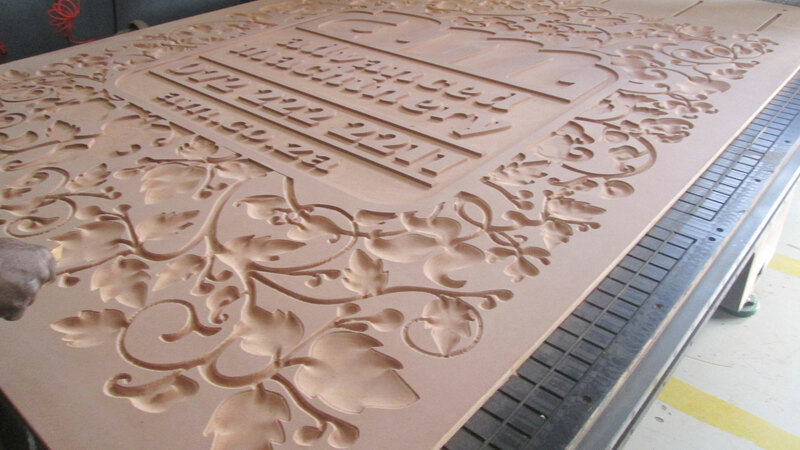 Our cabinet style of laser cutting machine is perfect for sign-making, shopfitting, trophy making and corporate gifts making. 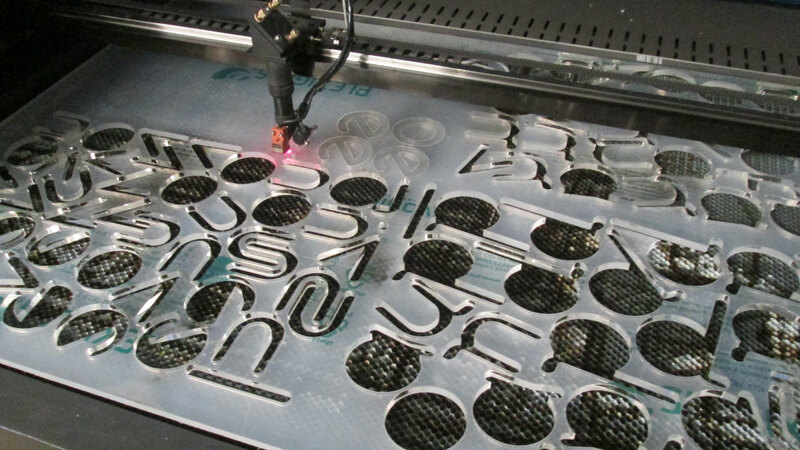 No moving parts, no consumable, low running cost, the fiber laser marking machine is perfect for labeling on metal. We are always out and about, attending events nationwide and demonstrating the sheer quality and broad capability of our machines to deliver precision work. 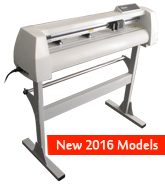 The machines consisted of the top-of-the-range V-Auto Superfast range, the business class V-Smart and the entry level V-Series vinyl cutter. 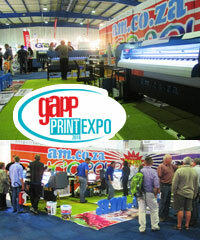 We showcased our state-of-the-art V-Auto Superfast Vinyl Cutter and FastCOLOUR Large Format Printer at the GAPP Print Expo 2016, which was held at NASREC. 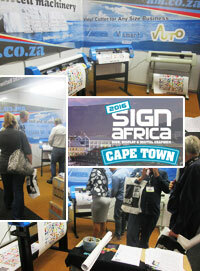 We attended a three day Sign Africa Expo conference at the Gallagher Centre in Midrand, in order to exhibit our new top of the range 2016 V-Smart Vinyl Cutter along with our Miniature DIY CNC Router. 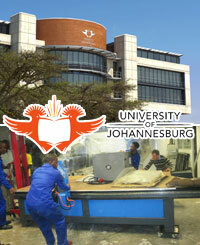 We excited to announce the approval of the tender for the CNC Router by the University of Johannesburg. 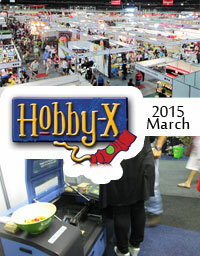 We attended at the Hobby-X Show at the Coca-Cola Dome. 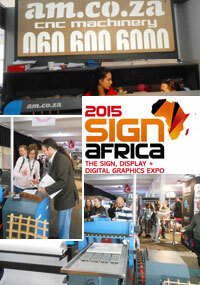 The outcome at the Hobby-X Show was extremely well and we managed to sell Machines to clients we met at the Expo. 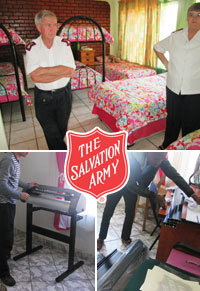 Glen and Moya is very grateful to Advanced Machinery for the donation and intends to use the Vinyl Cutting Machine to assist their clients in achieving technical skills followed by a better future "after the Salvation Army". 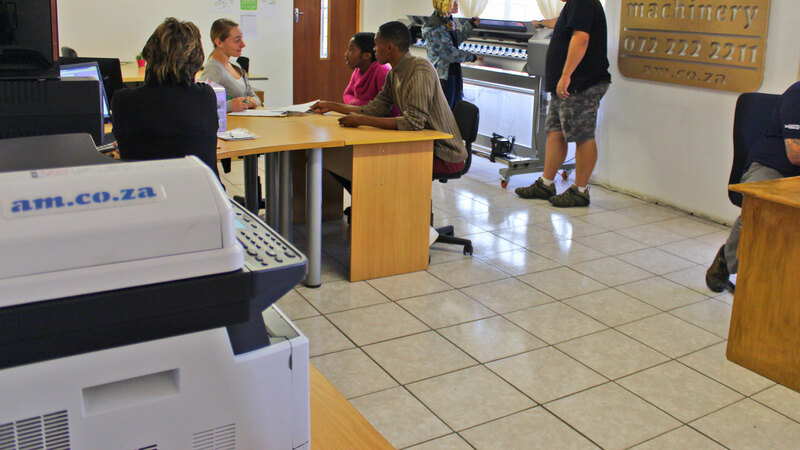 Our V-Smart Vinyl Cutter featured in GAPP 2014 July issue for T-Shirt Making and how we help Lanford Agencies expand. 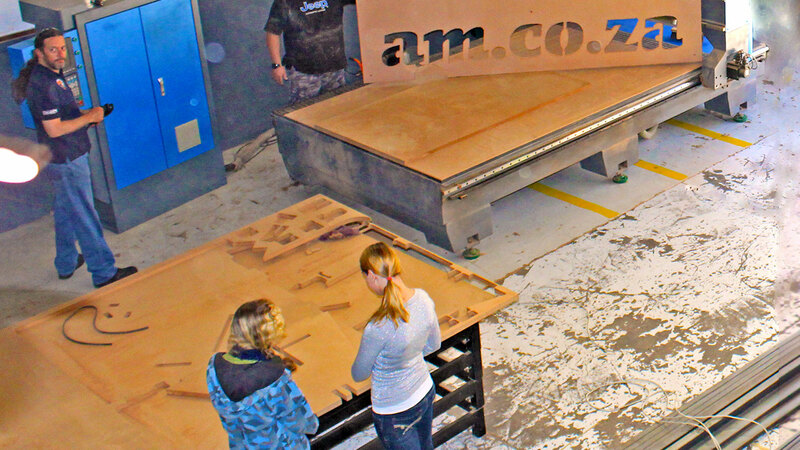 AM.CO.ZA symbolises our core value: achievement! 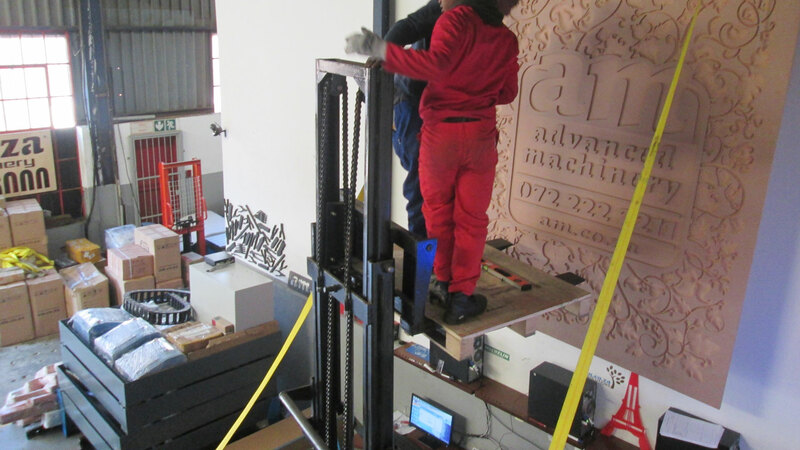 Weaved into everything that we do, whether it's the sale and servicing of our products, the manufacturing and metal fabrication of machines, innovation or education, each one of AM.CO.ZA's subsidiary companies are committed to facilitating achievement for our clients. So, more than just a landing page, AM.CO.ZA reminds us of our purpose and to exploring our full potential, because "achievement matters". 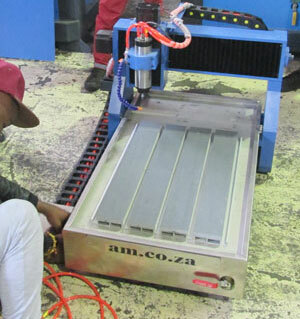 AM.CO.ZA boasts some of the best and most well-known machinery brands on the local market. 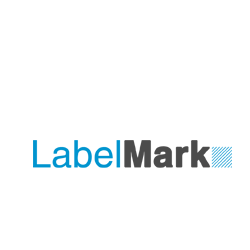 Our success is underpinned by a deep appreciation for the continuously changing requirements of our clients. 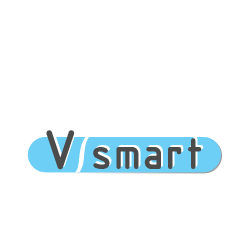 We are committed to offering machines and technical support that enable our clients to grow their market share and product lines, which is why so many reputable clients partner with us nationwide. 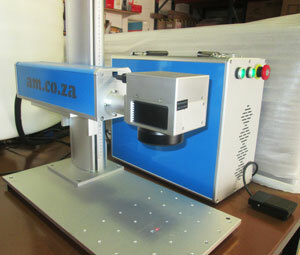 Laser marking machines for mass produce of label, logo and seriel number marking. 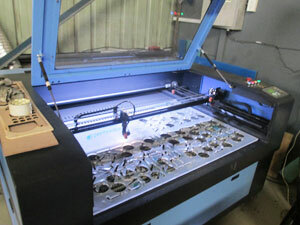 Wild range of high-end CNC routers for precision engineering. 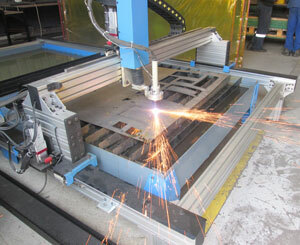 Plasma metal cutting system from plasma power supplies to CNC plasma cutting machines. 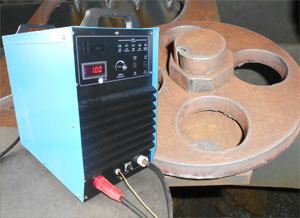 Hand-held and mechanized plasma cutting torch system and plasma cutting consumables. 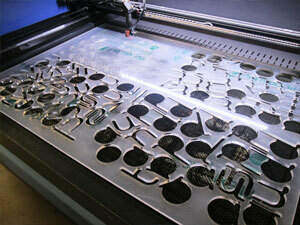 CAD/CAM software for CNC sheet metal cutting, optimizing material utilization and machine run time. 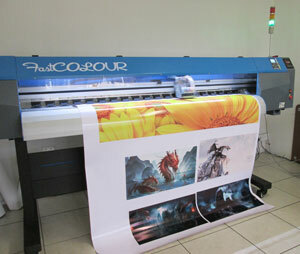 Eco-solvent large format printers and eco-solvent inks. We are redoing this webpage -- to make it better organized and more informative. 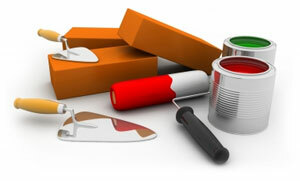 This section is under construction, please keep coming back to see more changes. 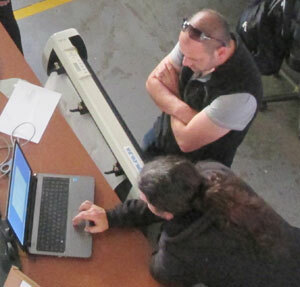 By focusing on fostering strategic partnerships that enable us to change the face of manufacturing and advance our clients' production levels, we are able to gain a deeper understanding of our clients' requirements - enabling us to offer products that address your unique needs. 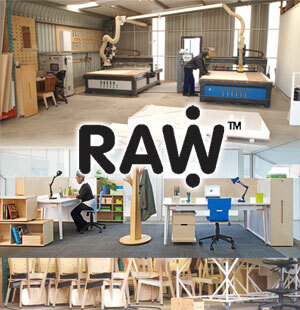 Raw Studios is known for its creativity and boundless ability to push the boundaries of design and CNC machining processes in its product ranges. 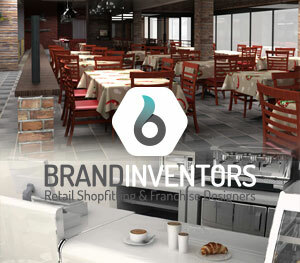 Brand Inventors is recognised as the benchmark of excellence in the internal decor space. These are the values that the AM.CO.ZA team live by. We understand that Achievement Matters. Nowhere is this more true than for our clients, who work tirelessly to drive their businesses forward - something with which our passionate team is dedicated to assist. Together we can realise excellence. Stories are attempts to share our values and beliefs. Story telling is only worthwhile when it tells what we stand for, not what we do. If you want to sleep with satisfaction you have to wake up with determination. Success means doing the best we can with what we have. Success is the doing, not the getting; in the trying, not the triumph. 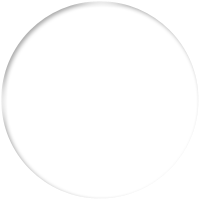 Definiteness of purpose is the stating point of all achievements. I'm going to stand outside. So if anyone asks, I'm outstanding. We know what we are now, but not what we may become. Our business is to help you achieve. We strive to do this wherever we can for that purpose. 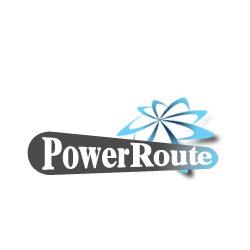 Lots of websites have been created and managed by us to present more information to you. 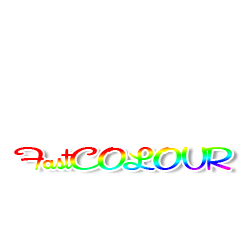 Here are our websites listed in category. 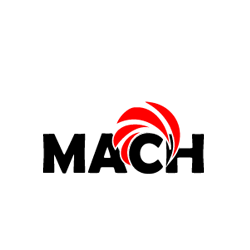 This website is developed by Advanced Machinery (Pty) Ltd. 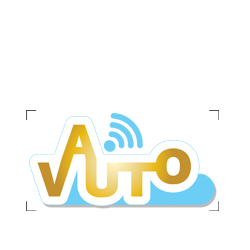 Both the domain name am.co.za, and the am logo, are the property of Bates Trust IT003077/2015(G), and its exclusive use is licensed to Advanced Machinery (Pty) Ltd. All other materials contained on this website and all associated websites, including text, graphics, icons, still and moving images, sound recordings, musical compositions, audio-visual works and software, are the property of Advanced Machinery (Pty) Ltd or its content suppliers or service providers and are protected by South African and international copyright laws. 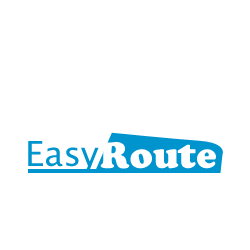 All trademarks, service marks, trade names, trade dress, product names and logos appearing on the site are the property of their respective owners. 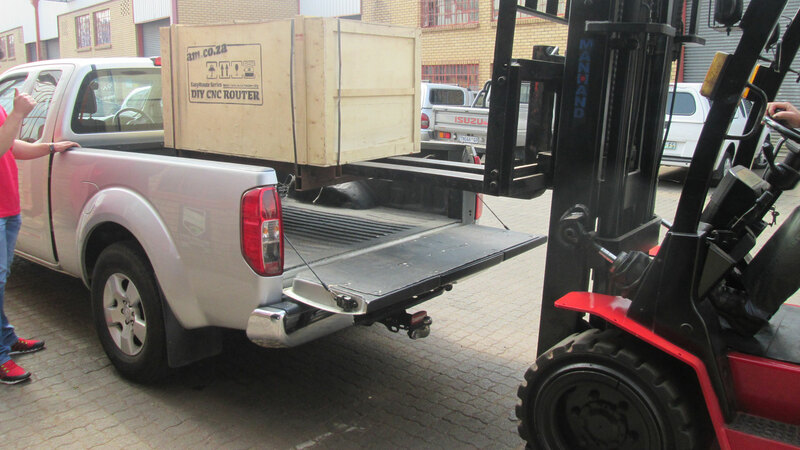 Advanced Machinery (Pty) Ltd, AM Machinery (Pty) Ltd, AMCOZA (Pty) Ltd and other associated companies are owned by Cornerstone Trust IT003075/2015(G).